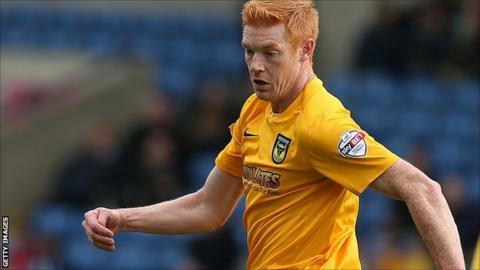 Oxford United striker Dave Kitson says he is "leaning towards" retiring in the summer, but wants to end the season by helping the U's claim promotion. The 34-year-old returned to the team at Plymouth on Saturday after injury, and scored the opener in the 2-0 win. That was his fourth goal in 32 U's games, and Kitson said he "wouldn't play just for the sake of playing". He added to BBC Oxford: "I think I could go on for another season, it's just having the motivation to do it." The U's moved back into the League Two play-off places at the weekend with victory at Home Park. And the veteran forward - whose only honour to date was winning the Championship title with the Reading in 2006 - said achieving success with Oxford is his only motivation left in football. "I want to play to win something and we have the chance to win something. Sport is about being successful and it's about your kids looking up to you," he said. "We've got a real chance to do that. I was gutted not to win anything with Sheffield United when we got to the play-offs [in 2013]. "I'll be gutted if we don't win anything this year, but if we do or we don't, I will probably lean towards finishing up and I won't have any regrets about that." Kitson, who also had spells at Cambridge United, Middlesbrough and Portsmouth, once cost Stoke £5.5m. He admitted he has few regrets from his 14-year career and believes the summer may be the right time for his to hang up his boots. "I'll be 35 next season," he said. "I've got plenty of mates who struggle to get out of bed in the morning and I've got two little boys who want to play football with me. They are just getting into it now. "I have one regret, and that is leaving Reading at the wrong time but that is my only regret. If you get out of the game with just one regret then that isn't bad."